Unlike Wainwright, the wiry Wasdale farmer and shepherd Joss Naylor was intent in taking in all 214 of those fells in the fastest possible time. 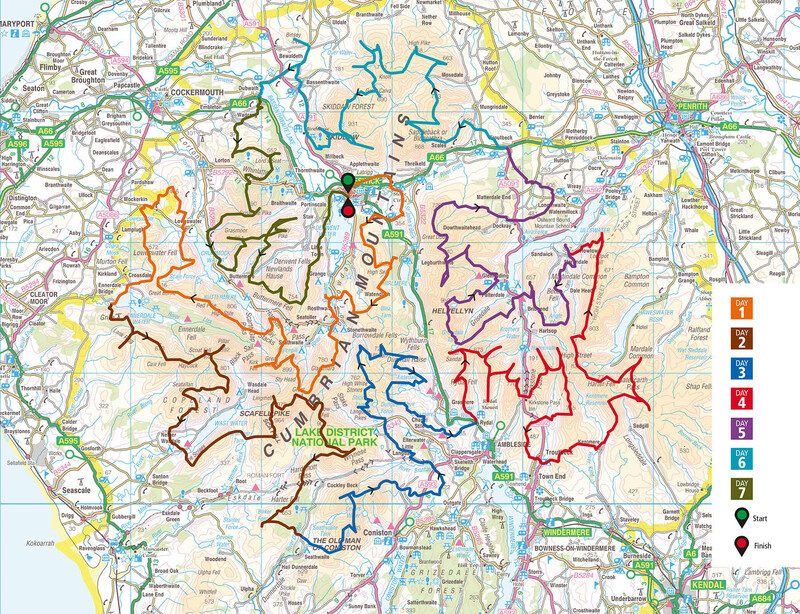 Naylor’s record of completing ‘The Wainwrights’, as they have become known, in just over seven days, looked unbeatable, until Steve Birkinshaw set his sights on the task. In 2014, the Newcastle University hydrology researcher clipped 12 hours off Naylor’s time to enter the ultrarunning hall of fame. And here’s a fascinating fact that emerges after reading this book: Birkinshaw reckons his own record is beatable. There is No Map in Hell is Birkinshaw’s matter-of-fact account of the physical and mental nightmares this challenge presented. 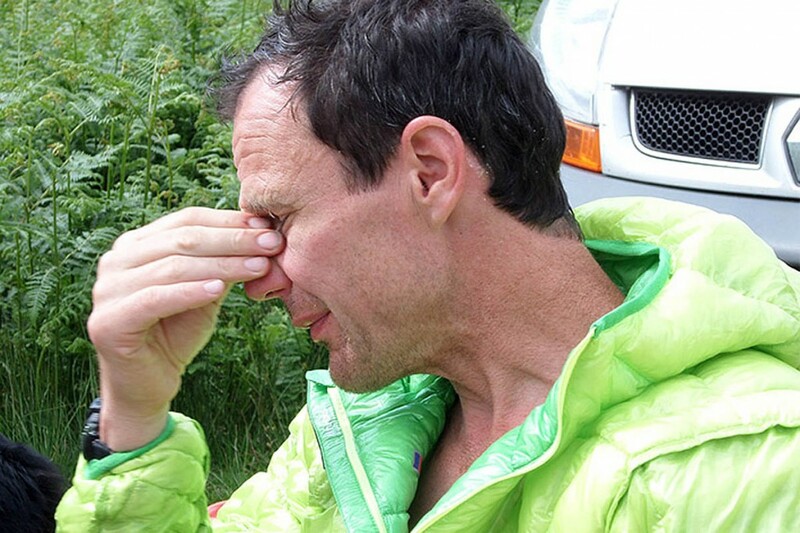 But he also provides an insight into how he came to be one of Britain’s top ultrarunners; the build-up to the Wainwrights attempt and the massive amount of help he had from many people to enable him to accomplish his astonishing feat. Like a Formula One driver, the pain and danger are all his, but behind his victory was a massive number of supporters, led by his wife Emma, who made sure he could perform as he did. There are detailed descriptions of the physiological difficulties the challenge involved: blisters and bowel problems figure large in the account. But pushing the human body way beyond what is normally expected of it has left Birkinshaw with lasting problems too: atrial fibrillation, an irregular beating of the heart; and chronic fatigue syndrome, or ‘brain fog’ as the runner describes it. As well as the insight provided for us normal humans into what drives someone like Steve Birkinshaw to push themselves to feats such as his Wainwrights record, there is a little biography. 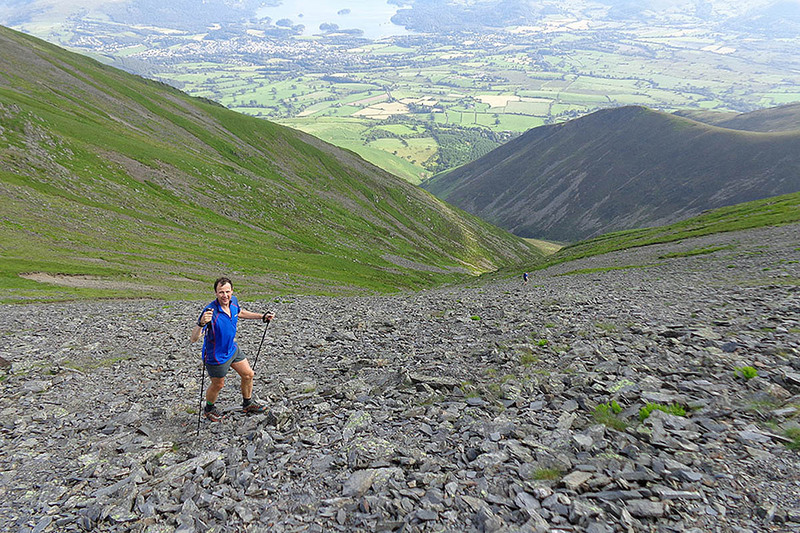 He viewed his school life as living as something of an outcast, finding relief in taking up orienteering before progressing to mountain marathons and fellrunning. There are failures as well as triumphs: an aborted attempt on the Bob Graham Round; missing the 24-hour Lake District record set by Mark Hartell; disappointing times in the Paddy Buckley Round in Wales. But there are more positives than negatives, with a successful second Bob Graham attempt; a Lakeland 100 win; a 21-hour completion of the Ramsay Round in Scotland and victory in the gruelling Dragon’s Back Race down the length of Wales. A large part of the book is then taken up with a day-by-day account of the Wainwrights attempt. By the fourth day, Emma rates his chances of completion at only 10 per cent, and by the fifth day, Birkinshaw is racked by self-doubt. By day six, eating is a problem but he is back on schedule for a record but the treatment for his blisters is agony. A seventh-day modification of his running shoes – cutting holes in them – provides relief and the end approaches. Except for a swift disappearance for a necessary toilet break in Portinscale, his finish into Keswick is accompanied by a large crowd of supporters and a welling of emotions. He reflects on a hell he thought would never finish. Birkinshaw bettered Naylor’s time partly by taking two hours’ less rest but mainly simply by running faster. There is no Map in Hell puts meat on the bones of the raw statistics of such a mammoth physical and mental effort, without pathos and is told simply and in a straightforward way. And, if you’re tempted to have a crack at the record, Birkinshaw lists at the back of the book his timings for all 214 of the fells. 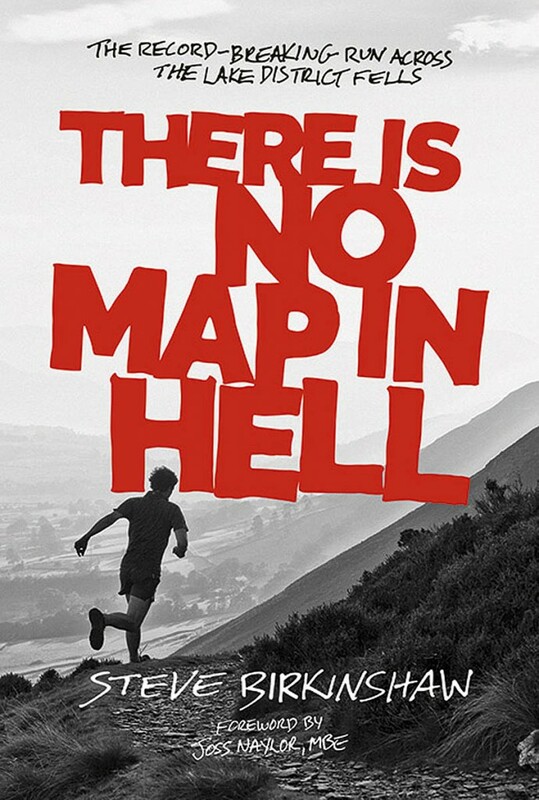 There is no Map in Hell is published by Vertebrate Publishing, price £12.99. Pre-orders for signed copies of the book are available at £10.39 up to the publication date of 4 May. See the Vertebrate Publishing site for details.